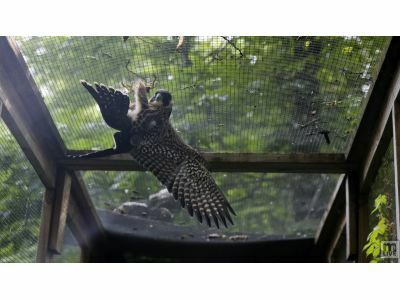 The two fallen Peregrine Falcons that were taken into the care of registered wildlife rehabilitator Sharron Butler in Vicksburg are doing well with their flight training and rehabilitation. Mlive did a short story and video with some words from Butler about their status. The birds are safe, doing well, and will be returned to downtown Kalamazoo later this week. The siblings and parents are still downtown and are continuing with their own flight training. You can view the Mlive feature by clicking here.